Dr. George R. Gottlieb, M.D., P.C. | George R. Gottlieb M.D., P.C. Dr. George R. Gottlieb, M.D., P.C. Home / Dr. George R. Gottlieb, M.D., P.C. 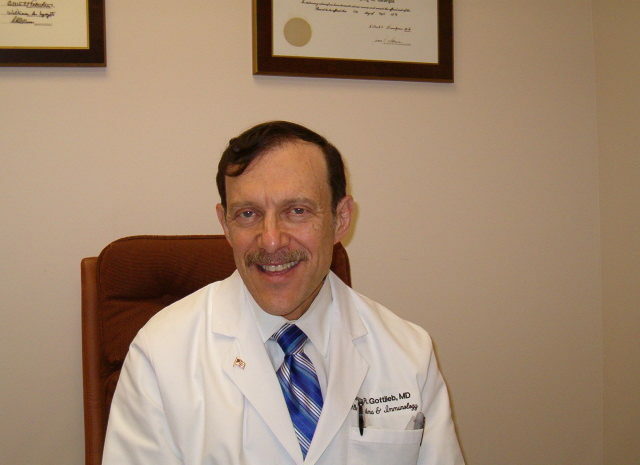 Dr. Gottlieb graduated with honors from New York School of Medicine in 1975. He is licensed to practice medicine in both Georgia and New York. He has served as Assistant Clinical Professor and taught at the Emory School of Medicine. He is Board Certified in adult and pediatric allergy and immunology. Dr. Gottlieb has been delivering quality care to patients in Atlanta since 1979. He has served on the staff of DeKalb Medical Center, Eastside Medical Center and Eggleston Childrens Hospital.